Countless of Thoroughbreds have come to town since Saratoga Race Course opened in 1864. In the olden days, racehorses were walked to the track from Sanford Stud Farm in Amsterdam, NY, 30 miles away. For decades, until the late 1960s, they chugged in by train. 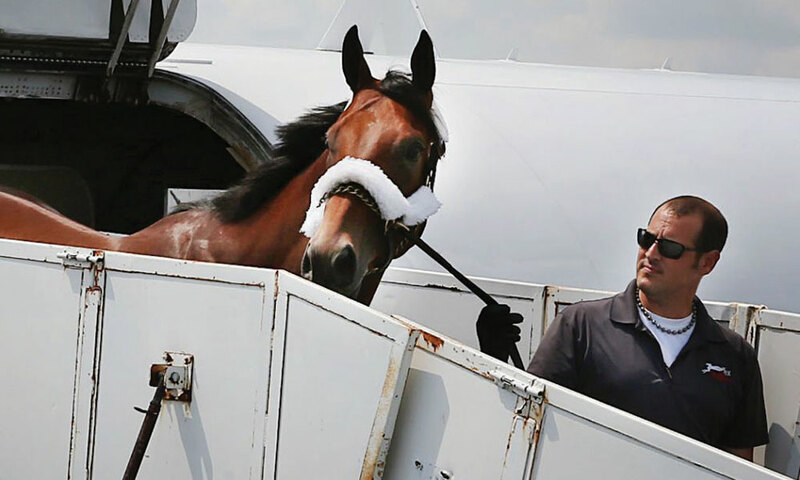 Last summer, Air Horse One touched down nine times at Albany International Airport. Each landing is carefully choreographed. After the plane gently lands, a special ramp with five-foot-tall sides is put in place. That’s when the horse vans drive onto the airfield. 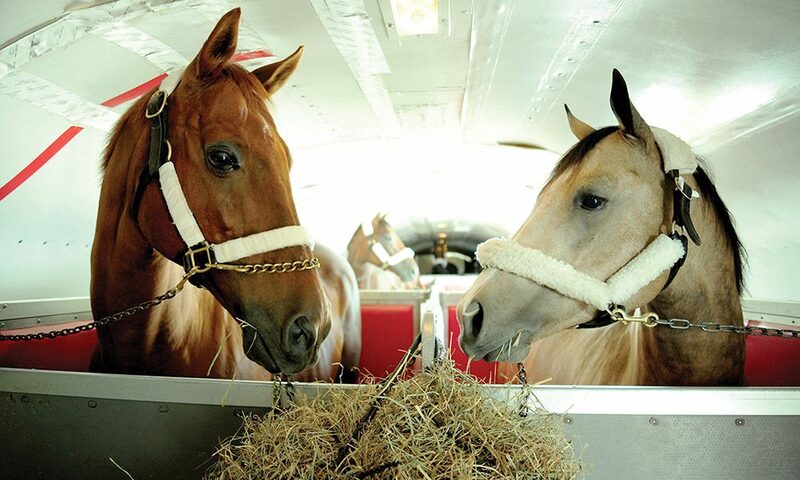 The horses are led off the plane and down the ramp onto more ramps that connect to trucks. “They never touch ground,” says Nicole Pieratt, President and CEO of Sallee Horse Vans Inc. Sallee, also based in Lexington, carries hundreds of horses to Saratoga each year, not only from the airport, but also directly from racetracks and horse farms all over the East and South, in 48-foot-long trailers with cameras that keep an eye on each horse. “Most of them come from the Belmont-Aqueduct area or the different Kentucky tracks,” Pieratt says. I hear you, Nicole. When the trailers clatter into town, they remind me that Saratoga’s a special place. Sometimes, I lean out my car window and talk to the traveling horses. “How was your trip? Where do you come from?” I say. But these animals are neigh-sayers. Not one has answered me yet.